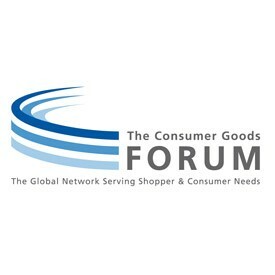 The Consumer Goods Forum is a CEO-led organisation that helps the world’s retailers and consumer goods manufacturers to collaborate, alongside other key stakeholders, to secure consumer trust and drive positive change, including greater efficiency. While this partnership seeks to address carbon pricing mechanisms, businesses also need to address refrigeration, the unseen threat to global warming. Refrigeration represents a growing source of greenhouse gases. Hydrofluorocarbons (HFCs) are 1,400 times more potent than carbon dioxide as a greenhouse gas, and represent 1.5% of total warming potential today, therefore global collaboration to tackle the problem is necessary. There have been policy measures to address this over the past two decades such as the Montreal protocol, an international treaty signed in 1987 aimed to solve global warming through encouragement of responsible use and regulation of ozone depleting substances. Under the most recent amendment in September 2016, countries committed to cut the production and consumption of HFCs by more than 80% over the next 30 years. And while the signing of the Protocol has encouraged some international efforts, the fragmentation of government policy on the issue has meant there has been huge disparity in the progress made across nations. According to recent UNEP (United Nations Environment Program) report, 80% of current HFC (but also of CFC and HCFC) emissions originate from industrialized countries; despite this, the European Union is the only governmental body that has actively worked to reduce HFC emissions. Europe has made great strides in switching away from fluorinated gases and moving towards natural refrigerants (NRs). A survey of north European supermarkets found 65% had started implementing NR technology. Research from market analyst Shecco showed more than 8,700 European supermarket/food stores using transcritical CO2 systems – more than three times the number in 2013. And where Europe has lead, other countries have followed - The US Environmental Protection Agency’s (EPA) Significant New Alternatives Policy (SNAP) Program has sanctioned the use of a wide range of NRs and banned other high-GWP refrigerants. The US EPA’s GreenChill partnership and the North American Sustainable Refrigeration Council also help food retailers to reduce their refrigerant gas emissions and decrease their impact on the ozone layer. However, this picture is not the same globally. Some continents, including emerging markets in East Asia, South Asia, and South America still have a long way to go in terms of their use of synthetic refrigerants. In China for example, HFC’s (75%) and HCFC’s (62%) are still the dominant refrigerants used. But, these regions are catching up and recent research by Shecco suggests that the country has the potential to be a major market supplier and user of NRs between now and 2020. As in other territories, leadership from policymakers has been key to prompting a take-up of NRs. China has recently relaxed its long-held opposition to the Montreal Protocol’s aim of reducing global HFC use, and has agreed to eliminate the production of HCFCs by 2030 which is a big step in this transition. The threat that refrigerant gasses pose to the environment has been firmly acknowledged by one influential group - the private sector. In association with the Consumer Goods Forum, whose members include multinational consumer goods retailers and manufacturers, and other platforms such as Refrigerants, Naturally! the member organisations recognise that given commercial refrigeration makes up around 40% of the world’s HFC use, the opportunity for collective action and impact is huge. There is significant scope for international companies to accelerate take-up of NRs in multiple territories by setting policies at a global level. For example, Coca-Cola, Red Bull and Unilever (all members of the Refrigerants, Naturally! initiative) have committed to eliminating HFCs from their vending and cooler machines across the globe, which has boosted take-up of NR equipment in places where progress might otherwise have been much slower. Similarly, European supermarket chains Tesco and Metro (also active CGF members) have introduced CO2 refrigeration in their stores in China after first successfully employing the technology in their core market of Europe. Back in 2010, the CGF’s members made a commitment to tackle the growing impact of refrigeration systems and in a move to sustain momentum, The CGF Board announced a second Refrigeration Resolution in October 2016 to continue the phase out of HFCs and call on the inclusion of HFCs in the Montreal Protocol. It is clear that there is scope for companies to be more ambitious in phasing out harmful chemical refrigerants and move to natural alternatives. The benefits of doing so are not just environmental but economic too. When implemented at scale, a HFC phase-down will have huge impact and could prevent warming of up to 0.1 °C by 2050 and 0.5 °C by 2100, offering one of the most cost effective climate mitigation strategies available in the world today.